The Nintendo Switch’s built-in 32GB of flash storage is wholly inadequate for pretty much everyone. Even if you buy all of your games physically, many AAA titles require large downloads and patches to supplement the content on the cartridge, and that’s not even getting into digital-only eShop games and optional DLC, all of which will take up precious bytes of your Switch’s storage. You really shouldn’t entertain anything smaller than 64GB, and even then only if you’re buying physical copies of most of your games, rather than downloading them from the eShop. 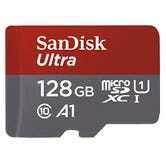 128GB cards are generally about double the price of 64GB, but well worth the expense if you do a lot of downloading. There are larger capacities available, ranging all the way up to 400GB as of the time of this writing, but they come slapped with hefty price premiums, at least for now. 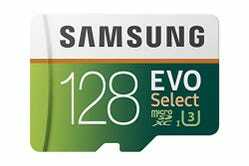 For example, Samsung’s 128GB card goes for $40 ($.31 per gigabyte), while its 256GB equivalent will currently set you back $119 (about $.46 per gigabyte). 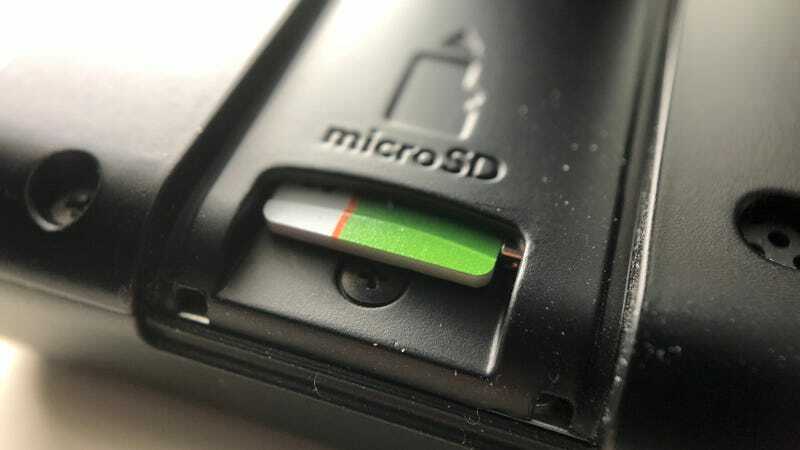 But, in a shockingly user-friendly move, Nintendo allows you to juggle multiple microSD cards on the Switch just by turning the system off and swapping in a new one, meaning it would be a lot cheaper to buy two 128GB cards than a single 256GB model. It’s mildly inconvenient, and if you lose a card you’ll lose all of its associated save files too, so if you go this route, be sure to use a carrying case. Luckily, most name brand cards these days support 100 MB/sec read speeds, so you shouldn’t nitpick too much about data transfer speeds. Instead, focus on finding a good price from a reliable brand. You can’t go wrong with Samsung’s aforementioned UHS-3 cards, or SanDisk’s popular UHS-1 alternatives. The Sandisks are generally a few bucks cheaper, but if you ever want to repurpose the card for use in, say, a 4K action cam, you’ll find that the Samsung’s higher write speeds were worth the premium, even if you didn’t notice it while playing Mario Tennis. You may be tempted to save a few bucks by buying a counterfeit or no-name card off of eBay, but think about what you’re storing on here. Your 100 hour Zelda file isn’t as important as your family photos, but it’s not far off! Just spend a few extra bucks and buy something reliable: SanDisk and Samsung cards both offer 10 year warranties. Do you have any other file management advice for your fellow Switch owners? Drop your knowledge in the comments.